Alisson Becker, take a bow. The Brazilian’s sidewinding kick to Roberto Firmino ended up in Mo Salah winning a penalty at the end of the first-half, which the Egyptian duly slotted away to make it 4-1 to Liverpool after the first-half tonight. The angle of the ball and the manner in which it curved out was simply stunning. There’s probably only one or two goalkeepers on the planet who first have the ability and second the imagination for such a pass. 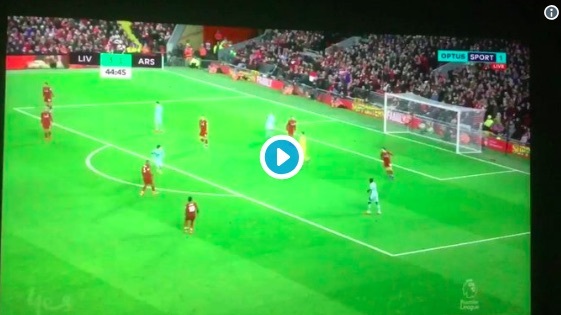 Alisson’s kick rifles to Bobby, but bounced just before, allowing our Brazilian to control it and set Mo on his way.